A brighter future is in your hands. We’re currently seeking an Enhancement Crew Leader. We’ll look to you to ensure efficiency and that client standards are attained. 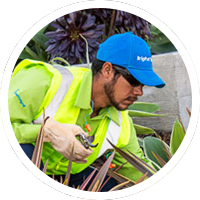 You’ll conduct site inspections, provide hands-on leadership, and provide guidance for soil, planting, watering and insect control. You’ll also drive and maintain our vehicles, train personnel with a strong emphasis on safety, and handle schedules, and review charts and reports. You should have a driver’s license and good record, strong leadership, and familiarity with the techniques and equipment used in landscaping. At least one year of experience in lawn care and landscaping a must; supervisory experience desired.